High Performing Offers – Before any offer is posted at AdsMain, it is tested by our experts via several channels. Only well performing offers are posted on AdsMain network for publishers to use in their campaigns. 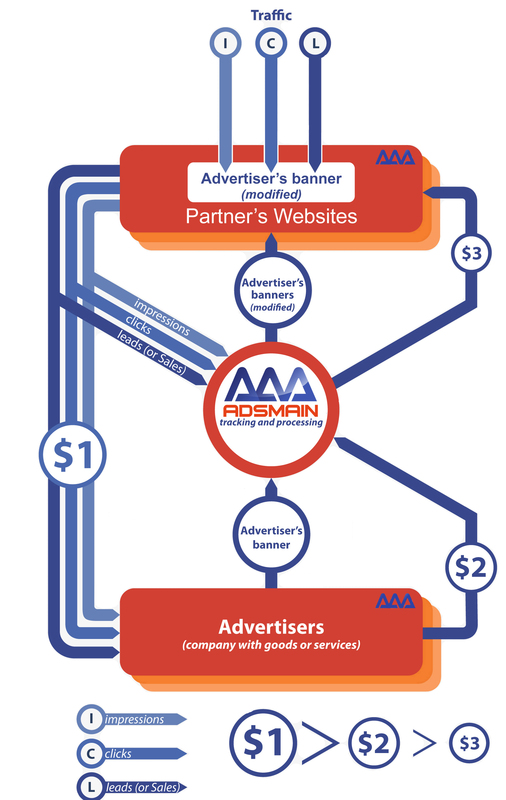 Top Rewards – AdsMain’s direct relationships with advertisers allow to provide higher payouts and fast scheduled payments which are made NET15 and NET30 to publisher’s Bank Account, PayPal or by Check. Best Tracking Software – AdsMain uses HasOffers Platform, which is one of the best tracking software available for affiliate networks to meet highest publisher’s and advertiser’s demands for a sophisticated real-time tracking of traffic. Personal Account Specialists – Account Managers work with affiliates on a one-to-one basis to ensure top placement and performance. 100% Risk Free – We have absolutely zero setup and operating fees for Advertisers. Affiliates are paid on performance base. Anti-Fraud Solutions – Your brand is important to us, and we take measures to ensure that your brand is not negatively impacted by fraudulent affiliates, spyware, SPAM or any other unethical marketing measures. Real-Time Detailed Reports – Dynamic reports on your promotion on affiliate program by date, creative, affiliate, etc. allow for better campaign management. Affiliate Management – AdsMain takes care of all the process: affiliate payments, technical support, customer service, consulting, helping you make the most of your internet advertising budget.